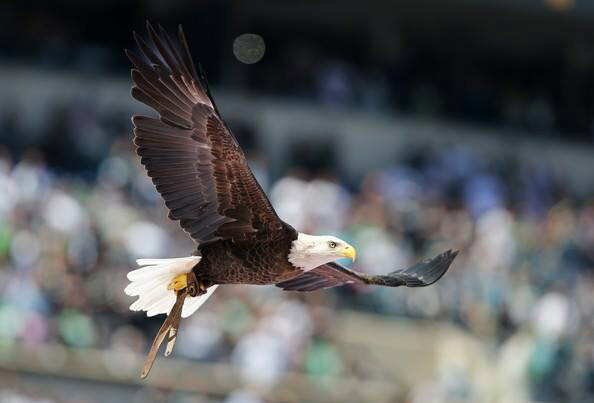 If you follow Bald Eagle Challenger’s flights during NFL games, you will know that he often appears at the Philadelphia Eagles home games at Lincoln Financial Field to perform a free flight during the National Anthem. Challenger soars over a field-sized American flag during the National Anthem at Lincoln Financial Field. 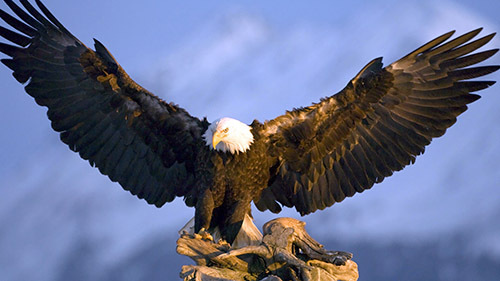 When the Eagles went to the Superbowl, Radio Station WHYY decided to have a campaign to raise money for the American Eagle Foundation. For every pledge called in by their listeners, WHYY pledged to pay for one of Challenger’s meals, or for the meal of any bird in the care of the AEF. During this campaign, $3,828 was raised to feed the birds at the AEF. The AEF is very grateful for this support, and would like to thank Radio Station WHYY and all who contributed to this campaign.